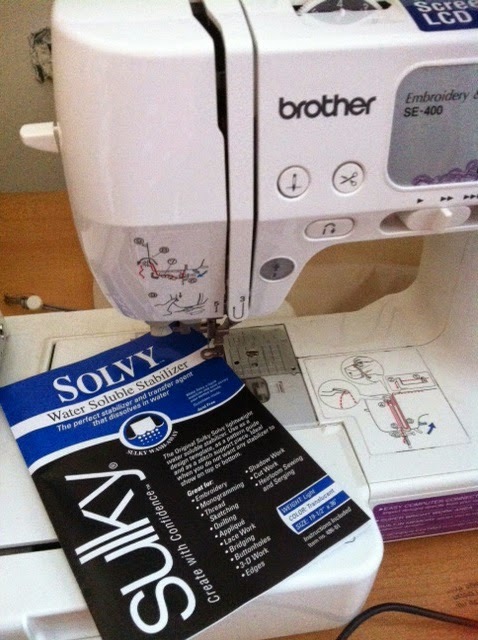 What could be better than a cup of English tea in the morning and burst of creativity. I like to read books to my kids with Storyteller characters, especially when I create them myself . 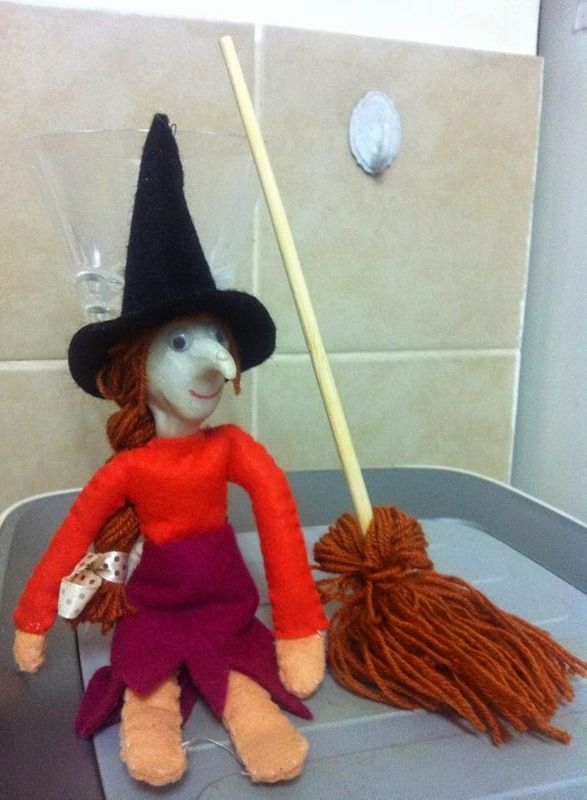 Our last storyteller was a Witch from the "Room on the Broom" by Julia Donaldson. 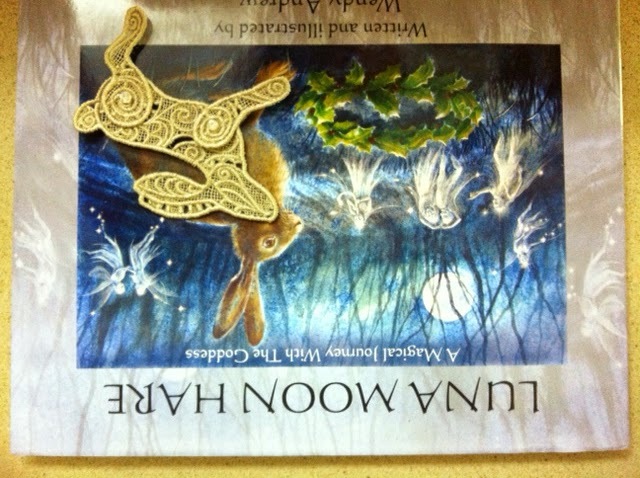 Today I've decided to add a new storyteller to our family - a hare called Luna . 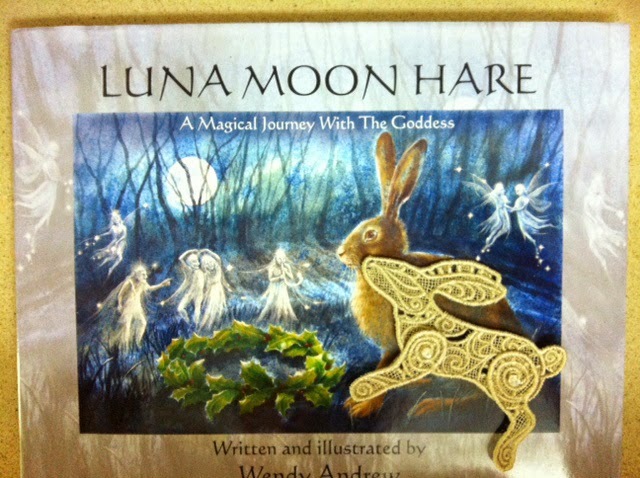 Luna Moon comes to us from the book " Luna Moon Hare - a magical journey with the goddess" by Wendy Adrews, where she takes us through the Wheel of the Year and changing seasons. 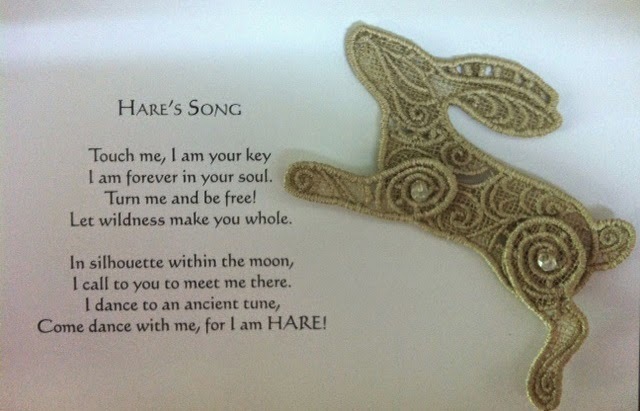 Moon Goddess guides her throught the year with faeries and mythical creatures. Today Luna Moon tells story of Goddess Rhiannon - the goddess of love and desire, she is the bringer of flowers, love and fertility and a story of a May Queen and Oak King. 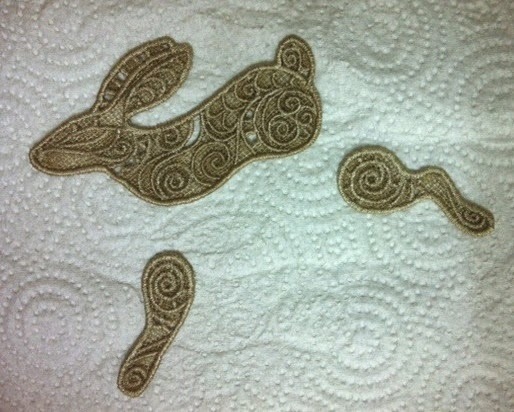 Our Luna Hare created with my gorgeous Brother Embroidery Machine , Urban Thread lace embroidery design, Water sollution stabilizer ,some thread and real moonstone beads.